ATTENTION: Prior to confirming your appointment, you must call our office with the last four digits of your social security number. Before adding you to our main scheduling system, we must be able to verify that you have the correct insurance and that you are eligible for exam services. PLEASE NOTE: If you need to cancel or reschedule your appointment for any reason, please do so at least 24 hours in advance. Dr. Yee graduated from the University Of California School Of Optometry in Berkeley. She had associated with top optometrists and ophthalmologists before opening her own practice in 1989. Her therapeutic license to treat ocular disease was earned in 1996. Eight percent of practicing optometrists belong to the Academy of Optometry which Dr. Yee joined in 2001. Glaucoma certification course work was completed in the same year. As a firm believer of staying current with this dynamic profession, Dr. Yee participates in excess of 100 class hours per year and receives the American Optometric Association's Optometric Recognition Award for continuing education. In 2002-2004, she was chosen as one of America's Top Optometrists. She enjoys membership with the UC Berkeley School of Optometry Alumni Association, Contact Lens Association of Ophthalmologists, American Optometric Association, and the American Academy of Optometrists. She works closely with highly experienced refractive surgeons in the Bay Area and is certified to fit the Corneal Refractive Therapy (CRT) Lens. Very personable and attentive staff. Took their time explaining process, tests & options. She was so professional and nice! Wales me through everything and made sure all my needs were met! Best eye exam I have ever had! My appointment was with Jennifer. I did an annual eye exam. She was knowledgeable, very pleasant and helpful in giving me options for contact lenses and glasses based on my exam. Thanks Frank for a pleasant visit! I was early for my appointment, signed the usual legal documents and we got started with preliminary exams right away, so there was no wait at all despite me being there early!! As soon as Dr. Chen was free, we thencontinued with the eye exam which was quick and painless as well. Really appreciate the efficiency and kindness I experienced and will definitely see Dr. Yee again in the future! Fantastic experience. This was my first time at this office. Was able to see the optometrist within 5 min of arriving and didn’t have to re-fill out forms. Eye doctor was friendly and efficient. Really explained everything including what she saw on the images taken so that I knew what was going on. Very timely and smooth. Even had my contacts in stock. It went great. Dr. Yee is very caring. She takes the time with each of her patients to carefully explain everything and do a thorough exam. I didn't feel rushed out the door. She answered all my questions and even checkedfor other medical conditions that would be affected by my eye. Dr. Yee was very communicative and is very knowledgeable. Her office has the latest technology including a retinal scan which means I didn't have to get my eyes dilated. Convenient location. Paperwork ready upon my arrival which was mostly completed using the information I had provided via ZocDoc when booking the appointment. I was scheduled for a full eye exam, was seen right away, and was out of the officewithin 30 minutes. Office is a little cluttered, and selection of brand name glasses is lacking, but overall experience was positive. Dr. Yee is fantastic! I've had some unusual vision needs, and I've seen this office several times, and the service has always been great. She comes highly recommended from other eye doctors. Thorough, honest, and warm -- what more could you ask? I'd recommend Dr. Yee to anybody without reservation. Dr. Yee was excellent and very helpful. The appointment was quick with no wait time and very easy, which was pleasantly surprising considering how touchy and sensitive I am about my eyes! An amazing doctor who walked me through every step of the visit and was very friendly! Felt like they were nickel and diming me and repeatedly tried to sell me on a more expensive procedure. Nice people though. Super helpful staff, very accommodating, great at navigating insurance. It's a glasses store with a poorly run OD operation on the side. I have unique eye issues and she was excellent at really fine tuning the best prescription for me. I have never seen clearer in my life. It was great. She was very thorough, and she didn't try to upsell me glasses that I did not need. Very professional. I will be going back next year for my annual exam. Great visit! Joanne is extremely knowledgeable and made me feel extremely comfortable. Most importantly, she explained each process in simple, understandable terms. I would recommend her and her team to anyone seeking an Optometrist. great doctor! process was easy and fluid. 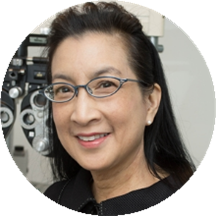 Dr. Yee is very professional, works to keep up with all the latest developments in her field, and also takes time to understand patients interests and priorities in their ocular health. I recommend her unreservedly. It was a very quick, efficient, and friendly appointment. I'm a huge baby when it comes to eye appointments, but Dr. Yee was able to make it a painless experience. I really enjoyed my appointment with Joanne. She is incredibly professional and great at what she does. She also also connects quickly with her patients. I'd definitely go back. True professionals in every sense of the word! Really took the time to explain everything. The team there is extremely friendly and helpful. They will help you make sure you are well taken care of in all aspects including how to save with your insurance. Love Dr. Yee's practice, everyone is so helpful and personable. Have seen most of the optometrists there at one time or another over the past 4 years. Great visit. Very thorough and friendly doctor! They were extremely friendly and helpful and I was in and out quickly. I went in with a concern, and the concern was addressed and I can now read amazingly well! Dr. Joanne Yee is awesome. She is professional, courteous and makes you feel comfortable and at ease while in her office. She has such cool equipment in her office! Very nice and thorough. Great staff and assistance, truly out to make you happy. Dr. Yee was wonderful. She has an extremely easy manner about her and is a great conversationalist. Most importantly, she is a very thorough examiner and takes her time with you to make sure everything looks okay. Even though I wasa bit late for my appointment, she still did a complete check-up and spent time talking to me about the best options for my vision. She even gave me great recommendations for eye doctors on the East Coast when I told her I'd be moving. I definitely recommend Dr. Yee for all your eye needs! Very quick, friendly and professional, while still informative and attentive to questions. Joanne was very quick, explained things as she went. And super helpful. I would recommend to anyone! Incredibly friendly and knowledgeable. I walked in with vision issues and no history of glasses/contacts - walked out an hour later with contacts! Dr. Joanne Yee, OD has no appointments on Zocdoc right now.